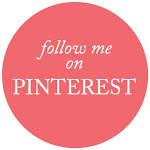 Scroll Down For The Sampler's Blog Hop. 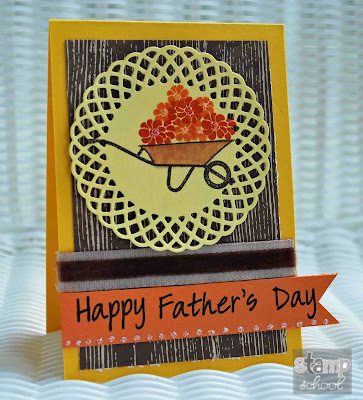 Welcome to Day 3 of Stamp School's Sneak Peeks. Today's card was such fun to make. 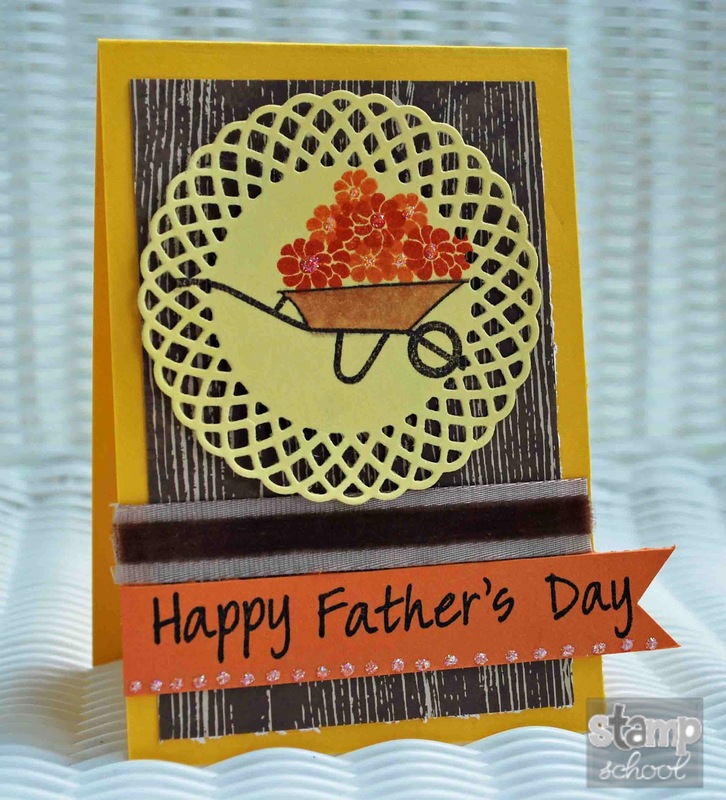 It's so hard for me to do an "all masculine" card, so I added flowers to this one (thanks to Stamp School's Flowers For Mom from April's release). A wheel barrel full of flowers, what could make Dad more happier??? Loving Stamp School's May releases. I'm also loving this saying! 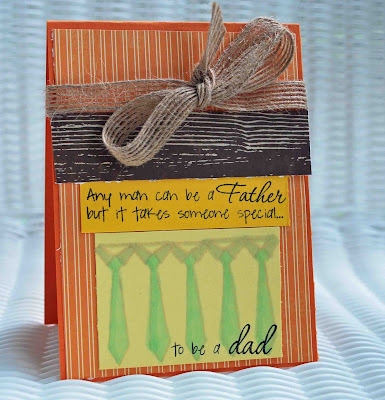 Stamp School has all your masculine and Father's Day cards covered! Visit Stamp School to see more Sneak Peeks! 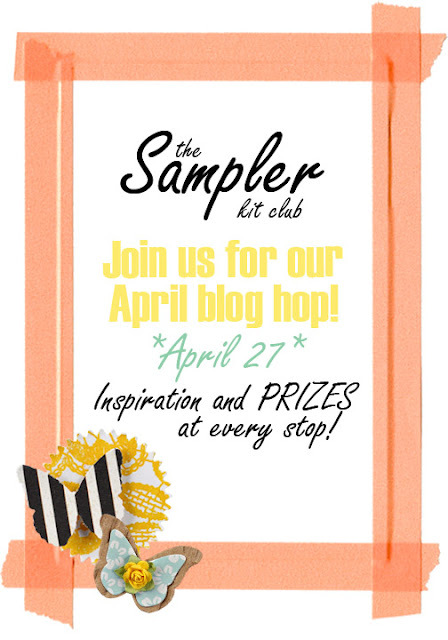 Scroll Down For The Sampler Blog Hop!!!! Hi guys! 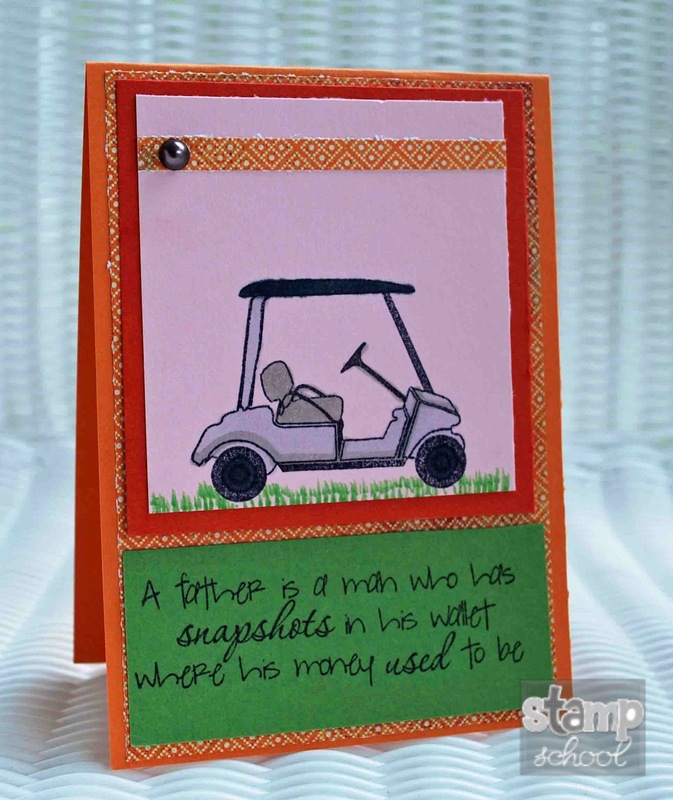 Time for sneak peeks from Stamp School! April was all about "Mom" so May is all about "Dad". 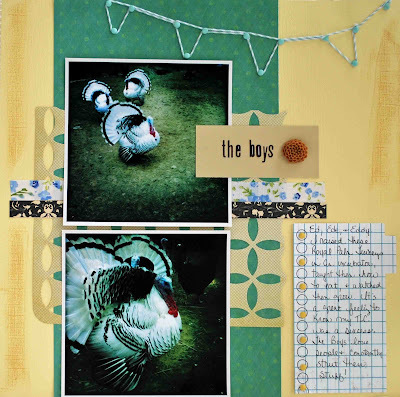 This month Stamp School is releasing fabulous masculine stamps that will be a great addition to any stampers stash! 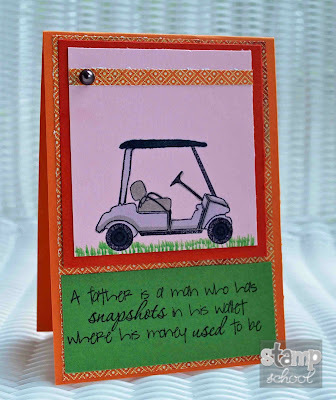 Do you like my little golf cart??? Such sweet manly stamps this month and a great sentiment set also. Oh and did I mention the latest Pop Tone colors....fans of bright vibrant colors will love this month's releases! Visit Stamp School to see more sneak peeks! Hi all!!! 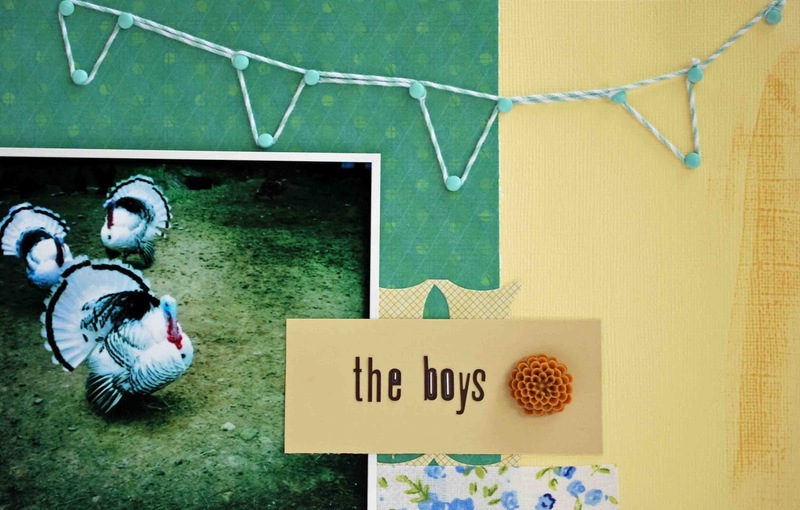 Welcome to The Sampler's Blog Hop! You should have arrived from the amazingly talented Shaunna's Blog. The Design Team wants to give back to the fans with inspiration and prizes! We've decided to take a simple embellishment and use as our focus for this hop - brads. Something all scrappers have! 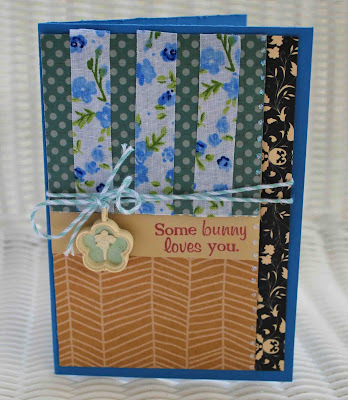 The Design Team also used the fabulous April kit from The Sampler....check it out here! I simply created the shape by using brads then strung fabulous October Afternoon twine (also in the April Sampler Kit) to create my banner. This layout was so fun to put together, it features my turkeys Ed, Ede, and Eddie. Ede has went to live at another home now (can you say to much testosterone in the barnyard!). I hatched these boys in an incubator, so I'm very proud of how they've turned out. Each member of the Design Team is having a giveaway on their blog! We are giving away a "sampling" of The Sampler along each of the stops. So for my giveaway, just leave a comment and I'll randomly pick a winner. You have the entire week, until Friday May 4th , to play along with our hop! Amber = You Are Here! 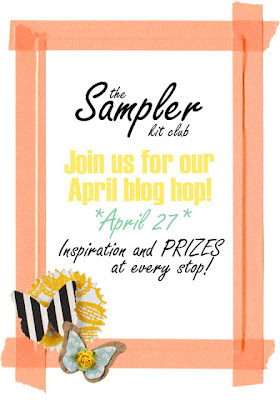 I also want to mention The Sampler Card & Sketch Challenge going on at The Sampler. We'd love to have you play along! And there's prizes involved! The next stop along the hop, the fabulous Amy S!!! Enjoy!!! Hi all! You must have thought I fell off the planet! I started my new job and have been on day shift for 3 weeks now. My body feels like it's been run over by a train. It's hard to undo 11 years of night shift in a few weeks, looking forward to feeling normal some day. Want to share this month's Sampler Card Challenge with you all. 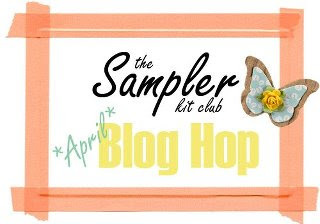 We've started a brand new blog for The Sampler and we are having a blog hop starting Friday. OK so here's this month's card sketch via PageMaps. 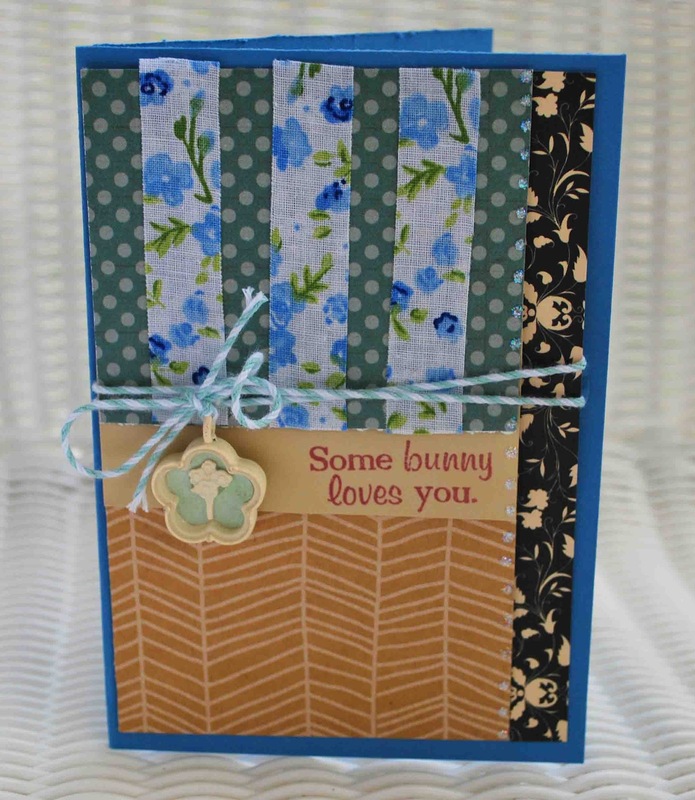 I created this card using goodies from April's Sampler Kit. It is such a fabulous kit!!! 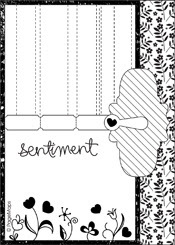 We also have a darling layout sketch and will be giving away prizes for a card and lo. Lots of chances to win! Time for a new week of inspiration at The Cutting Cafe. This week the Design Team is focusing on the great jar files Regina has in the Shop. I am a country girl so love jars, big jars, little jars...you get the idea. I think they are perfect for storage and so vintage. For this card I used the gum ball jar filler (included with Jar Template). I colored them with Copics and added Stickles for shine. 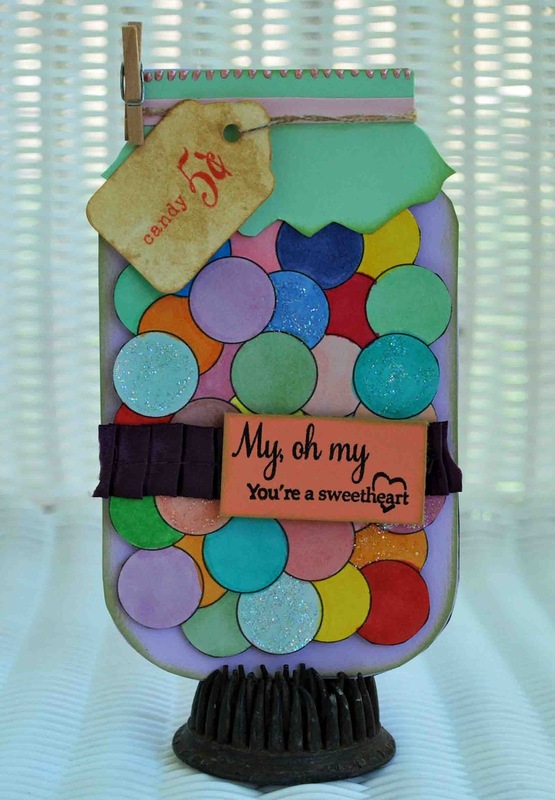 I added some stamps from Papertrey Ink, vintage tag and clothes pin. I used Liquid Pearl around the top of my jar. Loved making this card, putting it together was so much fun. Visit The Cutting Cafe Blog and leave a comment on this week's Inspiration Post to be entered into a drawing to win ANY 3 sets from The Cutting Cafe. It's also time for a Design Team Call! I'd appreciate it if you'd keep my Aunt Tammie in your Prayers. She got admitted to the hospital with chest pain last week and ended up having open heart surgery on Tuesday. Turns out she's had a heart anomaly that develops in utero and never knew. The MD's say that most people who aren't treated never have warning signs and it usually results in sudden death. She is doing good, post op pain is her biggest battle. We are just so thankful that God gave her chest pain and she went in for treatment and they found the bigger problem. Also Pray for me. I start my new job Monday! I've done the same job for 11 years and this is a huge jump for me. I kept thinking of the words "that's one small step for man, one giant leap for mankind." It is literally a giant leap for me, but I'm excited to get started!